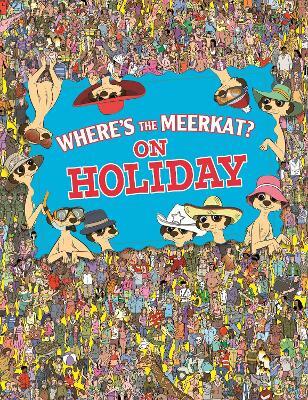 A meerkat family is on a round-the-world vacation trip, and kids who open this book are challenged to locate those roaming animals in a series of large, colorful, detail-packed street scenes. The meerkats' travels take them to Moscow's Red Square and New York's Times Square. The friendly but elusive creatures also show up in Venice at carnival time, at a floating farmer's market in Bangkok, Thailand, and at other colorful places that range from Paris to the Pyramids. 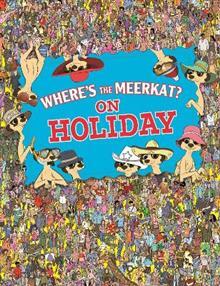 Ten members of the meerkat family are cleverly hidden among crowds of people in every one of this book's bustling scenes. Kids will enjoy examining each two-page spread and seeking out all ten little animals. Boys and girls will also find checklists that challenge them to identify many other details in each of the book's big pictures. They'll find answers at the back of this fun-filled book.